Allied Locksmiths of Maryland has served the Eastern Shore, MD area since 1994. Our Eastern Shore MD Locksmiths provide scheduled locksmith service as well as 24 hour locksmith services in Eastern Shore MD. We guarantee all work for 90 days, and for one year with purchase of our recommended door hardware. Our Eastern Shore MD Locksmiths provide locksmith services to the citizens of Eastern Shore MD. We provide locksmith service to the entire DelMarVa peninsula, from the beaches to the Chesapeake Bay Bridge. Allied Locksmiths of Maryland is legally registered in Maryland. Our registration number is T00129876. Our Eastern Shore MD Locksmiths service and install all brands of locks and door locking hardware. We install deadbolts, knob locks, lever lock sets and ADA compliant hardware. Our door hardware installations comply with Life Safety codes. 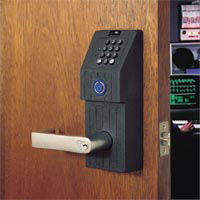 We install panic exit devices, fire exit devices, magnetic locks, switch locks, door buzzer systems and electric keypad push button locks. Allied Locksmith MD employs only licensed locksmiths with the skills necessary to install commercial door locking hardware, including storefront locking hardware, detex push bars and alarmed exit devices. We can fabricate locks for special applications. We stock, service and install ASSA, MUL-T-LOCK, and MEDECO high security locks with patented keyways to maintain control over who has your keys. We service and install all brands of commercial door hardware including ARROW, BALDWIN, BEST, DETEX, FALCON, KWIKSET, SCHLAGE, and VON DUPRIN. Allied Locksmiths of Maryland has an A+ rating as an accredited business with the Better Business Bureau. All our commercial door locking hardware and residential door locking hardware installations are guaranteed by Allied Locksmiths of Maryland. 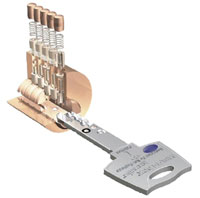 Install High Security Locks with absolute reliability and maintain key control by using ASSA, MUL-T-LOCK, or MEDECO high security locks designed to render bump keys useless. We can provide a complete line of high security mortise cylinders, padlocks, jimmyproof locks, and container locks that are designed to stop bump keys and unauthorized key duplication. From one door to hundreds, we plan, document, and install high security locks with minimal impact to your work environment. We assist in loss prevention, provide complete protection for your property and building occupants, and maintain compliance with Life Safety and ADA codes. Allied Locksmiths has performed safe openings, safe servicing, safe repairs and safe maintenance on all different types of safes. From antique safes to commercial safes, bank vaults or jewelers safes with intricate relocking mechanisms, our safe locksmiths and safe technicians are the most qualified safe specialists in Eastern Shore Maryland. Our experience with safe opening ensures that your safe opening will be performed without damage and often without drilling. Our expertise with safes and safe opening includes the time honored skill of safe lock manipulation, which allows us to dial your safe open without a known combination. Allied Locksmiths is locally owned and operated in Eastern Shore Maryland. 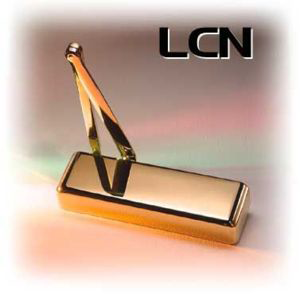 Owner Gina Fink, a locksmith with over 19 years experience in all aspects of locksmithing, including commercial, residential, automotive, safe servicing and safe opening, lives in Church Hill, Maryland. We regularly accept applications from those who want to learn how to become a locksmith through our locksmith apprenticeship program in Maryland. Church Hill, Maryland Volunteer Fire Dept. 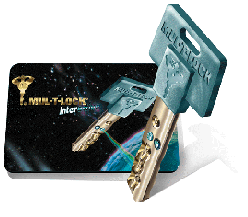 Resources- Allied Locksmith MD, Eastern Shore Maryland Locksmiths. Scheduled MD Locksmith Services and 24 Hour Locksmith MD Services. Locksmiths Eastern Shore MD.